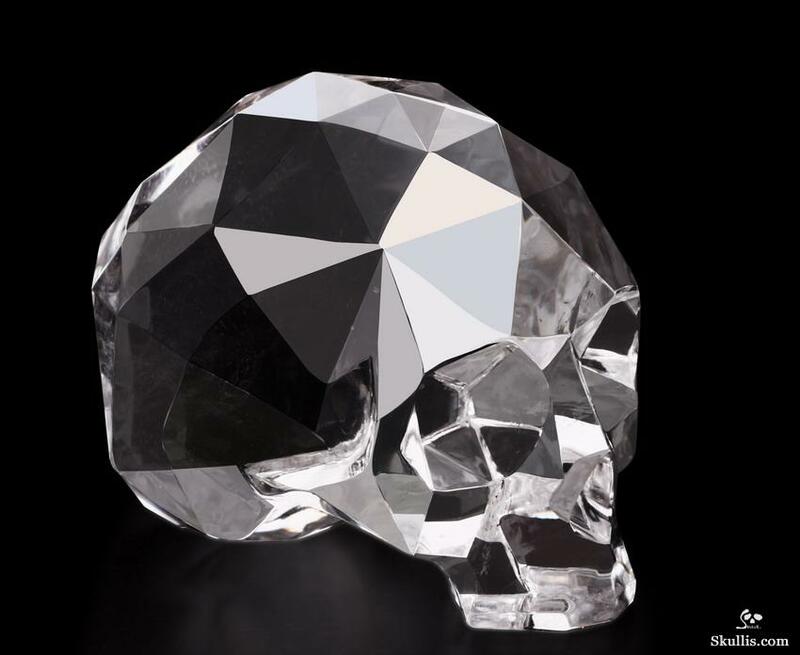 You are looking at a quartz rock crystal skull. 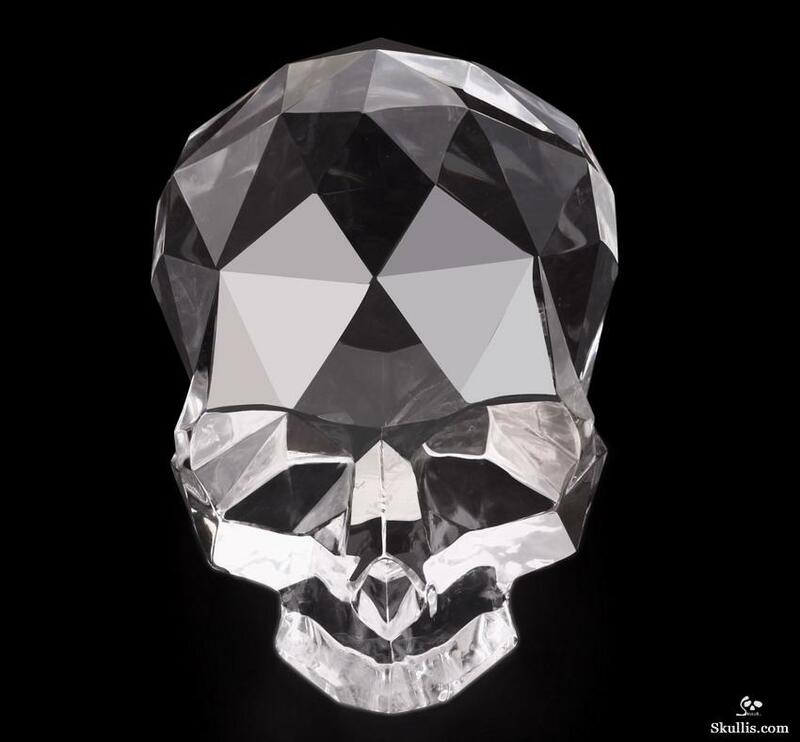 The skull is 3.8 inches long, from front to back. 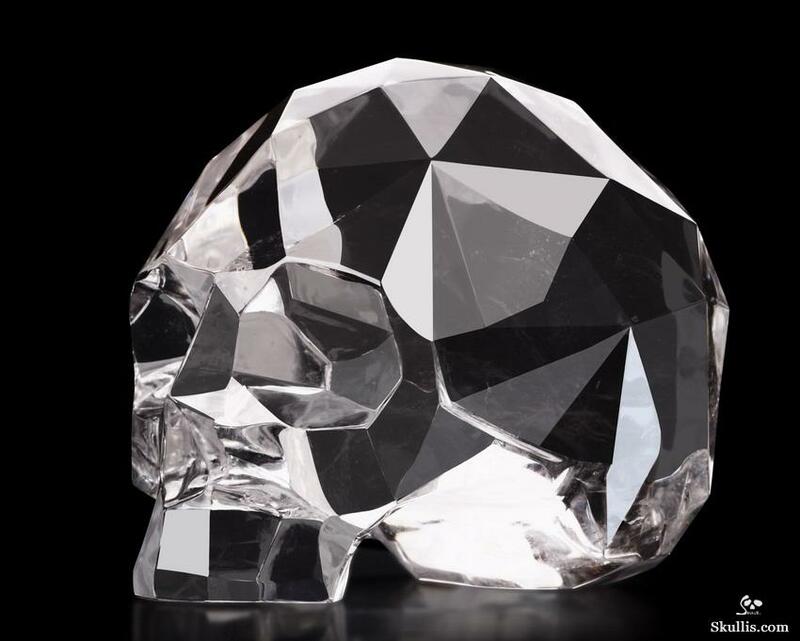 After finally perfecting a rough design, Skullis artists spent over two months working out the details for our new geometric crystal skull sculpture! 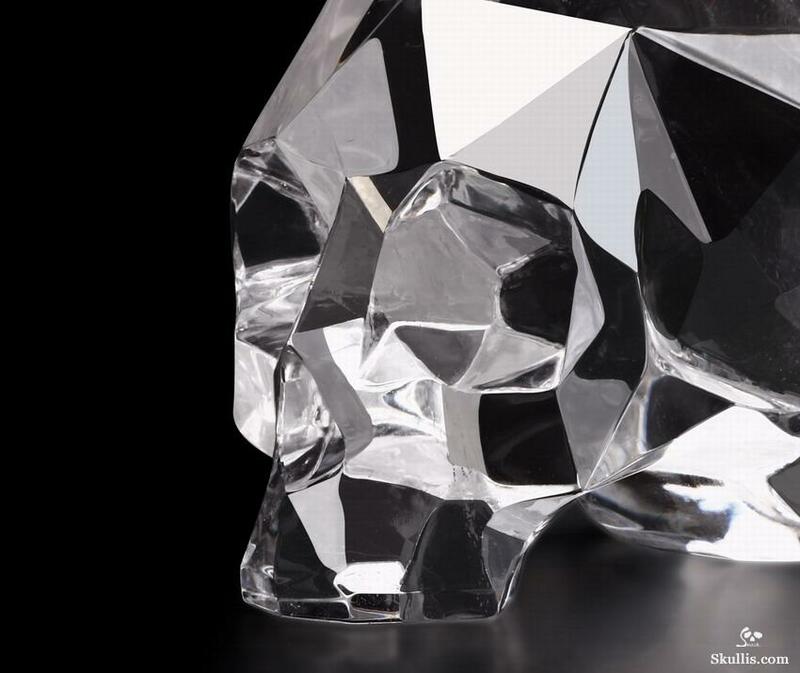 Much careful dedication went into polishing each facet while avoiding causing damage to the adjacent facets! 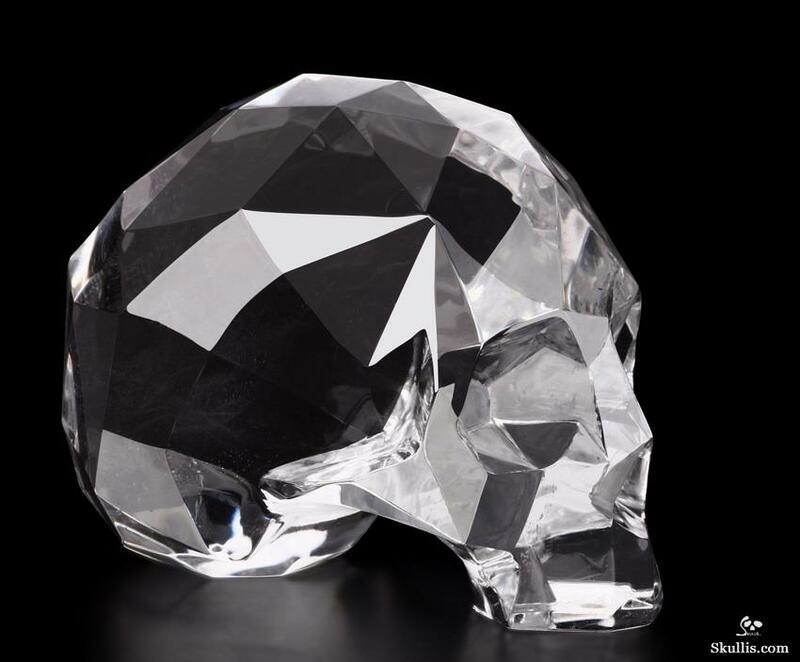 The result is a surreal clear quartz faceted crystal skull unlike any other! 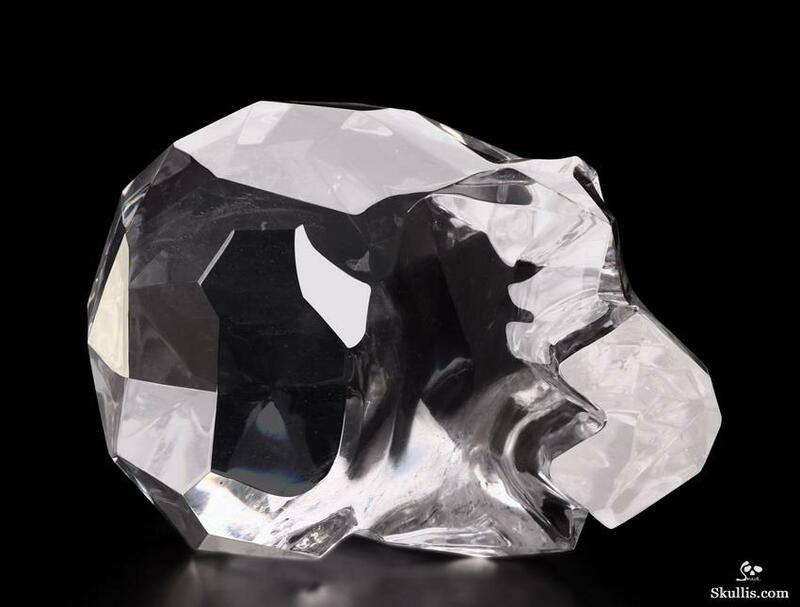 This single piece sculpture is carved from a beautiful quartz rock crystal specimen from Brazil. 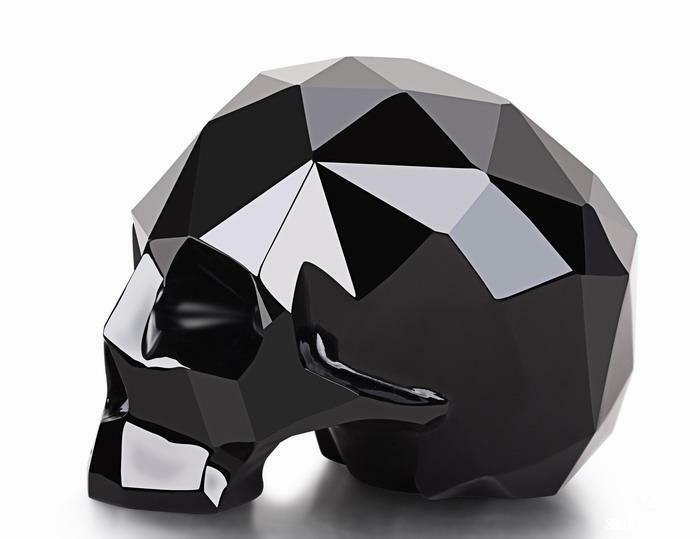 Below is a sample piece. 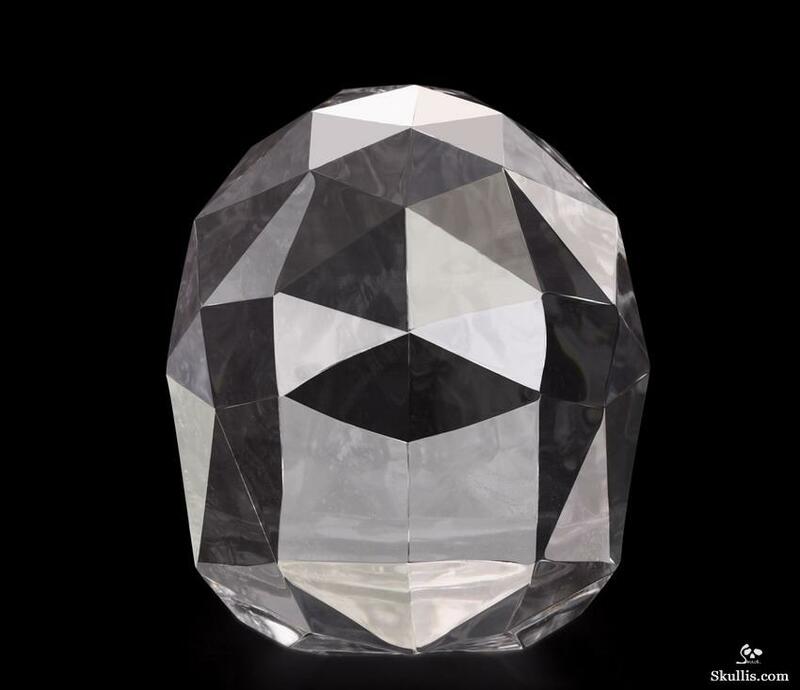 Due to stones' natural characteristics, what you receive may be of some difference to this one. Each one is unique. And we guarantee all are of same quality.